The controversy over the Federation’s football team being placed in the same group as regional powerhouse Trinidad and Tobago for the next round of the CFU Caribbean Cup has ended, says General Secretary of the SKNFA Stanley Jacobs. St. Kitts and Nevis Football Assn. had written to the Caribbean Football Union protesting the results of the draw for the next round of matches when the results left them playing a tougher group despite topping the previous round of matches. Anthony Johnson, SKNFA President used a June press conference to criticize the CFU move, noting the body had blundered in their drawing since they had sent out an earlier draw which would have placed the Federation team in a different match. 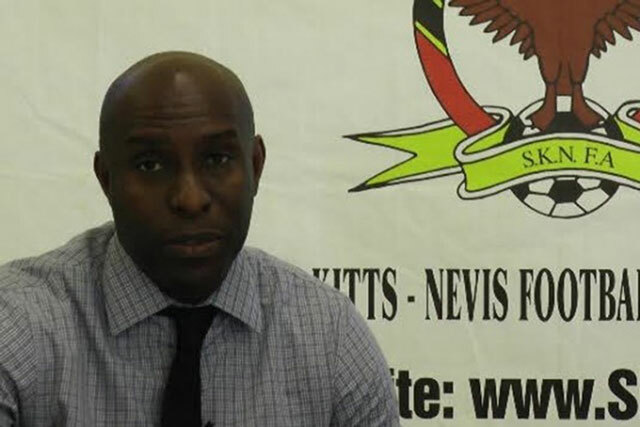 Atiba Harris, captain of the local team, took to the social media to express his anger at the move pitting St. Kitts and Nevis against Trinidad and Tobago. Speaking with The Observer, General Secretary Stanley Jacobs said the issue was resolved and the revised fixtures were released. Mr. Jacobs said the changes were made subsequent to the local body writing to the authority responsible for the football in the region. Checks of the grops show that the Sugar Boyz are now grouped with Haiti and French Guiana with matches kicking off on Oct. 5 when Haiti takes on French Guana in the French overseas territory before Warner Park plays host to the clash between French Guana and the home team. Jaobs told this newspaper the changes were made before the local body wrote to the authority responsible for football in the region. The Sugar Boyz would then travel to Haiti to play the Haitians. Johnson added that the main goal of the Sugar Boyz would be to qualify for the 2018 CONCACAF Gold Cup.